With exceptional attention to detail, we develop individual players to their fullest capabilities. We work daily to provide 3d players and families with the ultimate lacrosse experience. The official website of the Boston Cannons, a professional winter indoor mens lacrosse team. They are a member of the MLL and play at the Harvard University Stadium, Cambridge, MA. Boston Kings Lax started in 2016 with a merger or North River Lacrosse and Boston Kings Lacrosse. This program is run by Chris McGuirk and Greg Traynor. This program is competitive club programs for youth and high school boys and girls (Boston Aces) who want to play lacrosse in the summer, winter and fall. Clinics are offered to all grades (K-12) and levels as well. GameBreaker Boys & Girls summer lacrosse camps held at various locations in New England. 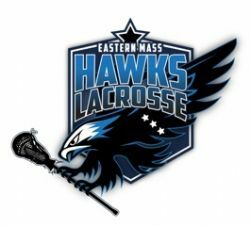 Hawks Lacrosse is s an organization that provides highly personalized lacrosse instruction for players of all levels and ages offering both individual or small group settings. Kevin Orcutt is the Director of Hawks Lacrosse based out of Hanover, MA. Laxachusetts & EMASS Jr. Minutemen are a Boys Club Lacrosse organizations held in fall, winter and summer months only (not in Spring season). A supplemental program to youth lacrosse organizations. Offer HS & MS club teams, developmental programs and HS & MS leagues. Nike Boys & Girls summer lacrosse camps held at various locations in New England. Rosters, schedules and results for all Norwell High School athletics. Peak Performance Boys summer lacrosse camps (ages 10-17) are held at Springfield College (MA). Summer lacrosse camps for BOYS & GIRLS on the South Shore run by Sean Morris of Marshfield, Mass. (UMass Amherst, Boston Cannons and Boston Blazers). Laura Glassanos, former Thayer Academy Alumni and Northwestern Lacrosse player is the Girls Director. The Good Sports is located on Rt. 3A in Cohasset, MA. This sporting goods store offers starter lacrosse packages for boys and girls at great prices. Norwell Youth Lacrosse particpants receive a discount purchases by mentioning our program. Owner = Austin Lynne. Toggun Boys and Girls Lacrosse summer lacrosse camps held in various locations in New England. Leagues offered at some age levels. The TPL (Town Pride Lacrosse League) is a BOYS spring lacrosse league for a group of like minded town youth programs (grades 3-8) in Eastern Mass. Norwell Boys Youth Lacrossse participates in this league. The national govering body for Boys & Girls Youth Lacrosse.